Rolling Thunder...San Diego's Newest Recording Studio Attracts Mainstream Productions! New - watch the video interview here! Exec VP/General Manager, Deej DeLorenzo and chief tech give you tour of the new facility. Deej has extensive Record Company background (worked in the A&R Dept of Chameleon/Elektra and Polygram for over a decade) will also be in charge of Rolling Thunder Records as well as studio bookings. Nestled discreetly within the San Diego community, Rolling Thunder Studios is emerging as THE premier recording facility in Southern California. Rolling Thunder is able to fit any recording style, boasting state of the art and vintage equipment. 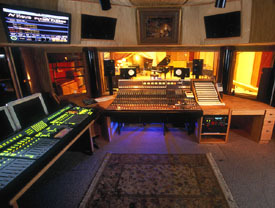 Studio A, referred to as The Bohemian Room, houses a Neve 8058 MKII with Flying Faders and is considered the largest recording room in San Diego. With its plush oversized chairs, ornate rugs, and laid back feel, it is perfect blend of functionality and style and truly lends its self to the pursuit of writing and quality recording. 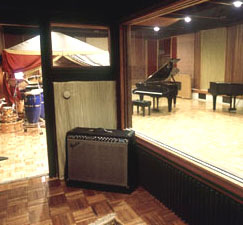 Studio B dubbed the Casablanca Suite with a second Vintage Neve, is scheduled for completion in late Fall of 2003. This studio will be featuring a state of the art whisper chamber room. "Rolling Thunder is designed with the musician in mind. Understanding the pressure and stress that can come with recording, we have taken great care in providing for opportunities to unwind," says studio Exec VP/General Manager, Deej DeLorenzo. DeLorenzo who has extensive Record Company background (worked in the A&R Dept of Chameleon/Elektra and Polygram for over a decade) will also be in charge of Rolling Thunder Records. 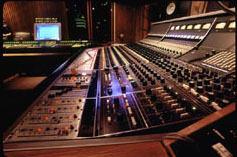 Analog and digital machines include: Studer A827 24 Track 2 inch and Ampex ATR 102 2 Track ½ inch Analog machines complement Pro Tools Mix 3 TDM with Apogee AD8000 Converters. DBX 160's; Lexicon480L, PCM 80, H3000 and Drawmer gates. For a full gear list contact the studio. Main Monitors are Dynaudio A with Genelec 1030 A, Yamaha NS-10s and Tannoy Gold Near Fields.
" I am thrilled with this facility! It has all the toys I would use. San Diego needs a studio of this caliber!" -- Steve Churchyard, producer/engineer (Joe Walsh, Ricky Martin, Big Country). Blink-182 was recently in San Diego's Rolling Thunder studios recording the follow-up to 2001's Take Off Your Pants and Jacket with producer Jerry Finn, whose credits include that album and the eponymous debut by side project Box Car Racer. Slated to drop in September, Blink's fifth album is expected to include the tentatively titled "Down," "Obvious," "I Miss You" and "I Should Have Got Caught." ... Good Charlotte guitarist Benji Madden sang on "Jaded," the first single from Mest's self-titled LP, released in June. Madden will also appear in the video for the song. A choice selection of mics including Neumann U-47 (call for reservation) U87s Klaus Heyne Modified / KM 84s Klaus Heyne Modified AKG 414s; Sennheiser 441s and the Shure SM 57, 58 and EV RE20 are maintained by John Beard, staff chief tech/engineer. The comfortable lounge seats up to 12 people. In house massage, cable TV and Internet Access is available. 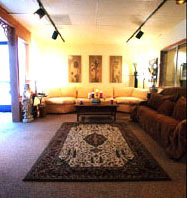 Donn Chickering acquired the studio from Terry Bayles & Steve Vaus in 2001 and put about half a million into upgrades. The Studio is bulit on a sand foundation, with neopyrene, plywood and soundborad under the wood floor. The walls are acoustically sound, constructed with sand filler, .............neo-pyrene, soundboard, non parallel walls all adding up to pure sound. 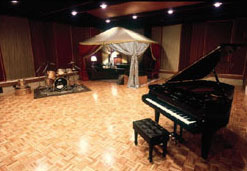 "The studio owner, Donn Chickering, is a recording artist/producer himself and comes from a well-known tradition of family business, the Chickering Piano makers. "Rolling Thunder is Don's vision, it's hip and artist friendly" says Deej. 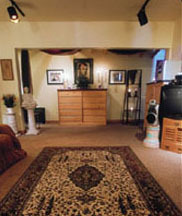 For out of town guests, Rolling Thunder offers hotel packages to fit the raging rock star or starving artist's budget. The nearby Residence Inn by Marriott, features 36 penthouses accommodation, with fully equipped kitchens and private entrances and Hotel W offers the luxury of a five star hotel. With such close proximity to all of Southern California's hottest attractions, the studio provides numerous possibilities to relax during the recording process.